kikimiqbalsoft - After introducing the new CX-3, Mazda6, and CX-5 at the Los Angeles auto show this week, Mazda is gearing up for more debuts around the globe. The automaker will bring out an all-new Mazda 2 sedan at the Thailand motor show on November 28. 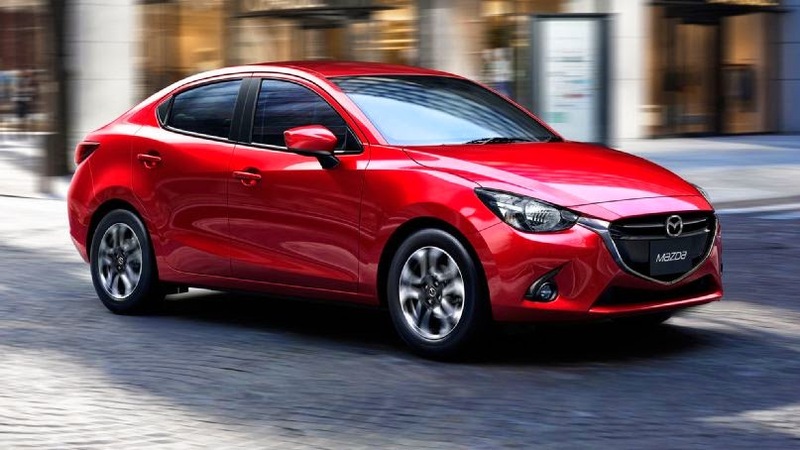 Like the recently revealed 2016 Mazda 2 hatchback, this sedan version of the Mazda 2 loses its smiley-face grille for a more refined look for the new model year. Under the hood lies a new Skyactiv-D 1.5 clean diesel engine that complements a full-line of fuel-saving Skyactiv technologies. The sedan should also receive the same 1.5-liter Skyactiv gasoline four-cylinder as the hatchback. In the U.S., the 2016 Mazda 2 will likely only be offered in a hatchback version, and it faces stiff competition from the Ford Fiesta, Chevrolet Sonic, Honda Fit, and Hyundai Accent. But in Thailand, the Mazda 2 has thrived as Mazda's best-selling passenger model in the nation, outselling the Mazda 3, CX-5, and BT-50 pickup. Over 120,000 Mazda 2 cars have been sold in Thailand since it first went on sale in January 2010. Considering that the Fiesta, Sonic, and Accent are all offered in sedan and hatchback variations in the U.S., Mazda could potentially benefit from introducing a sedan version in the U.S. There is a slight possibility that we may see a version of the Mazda sedan badged as a Toyota or Scion, however. The next-generation Toyota Yaris is reported to be twinned with the Mazda 2, with a possible sedan version to join the Scion lineup as an unnamed model.